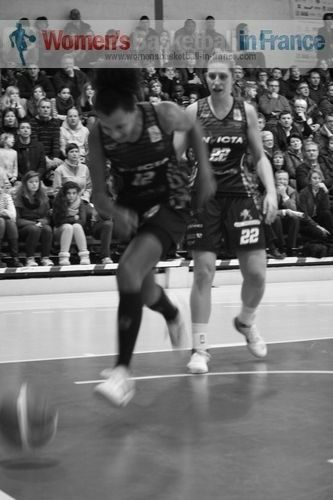 The 2013 edition of the Coupe de France is already over for Illkirch-Graffenstaden who fell at home to Charleville-Mézières (60-73) in a highly entertaining game. 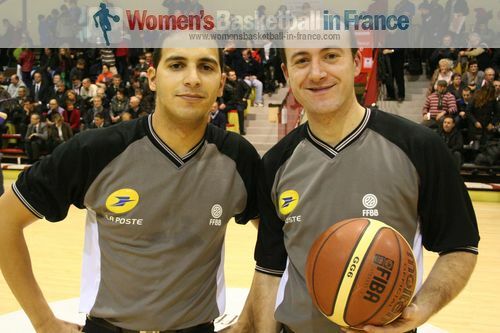 You will find on the page our video interview by womensbasketball-in-france.com with Amel Bouderra (to be found on the right) which was conducted before the match. We have also included another video with some clips and pictures from the match. 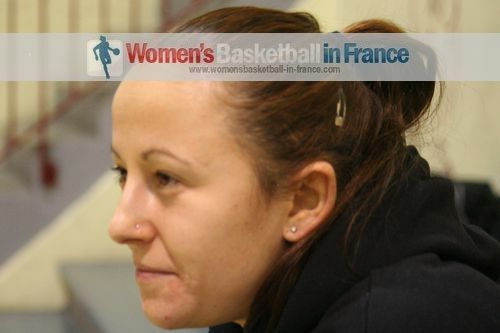 Veuillez trouver en bas de page un compte-rendu en français du match de la SIG contre Charleville-Mézières et sur la droite l'interview avec Amel Bouderra. Tous les autres interviews sont également en français. 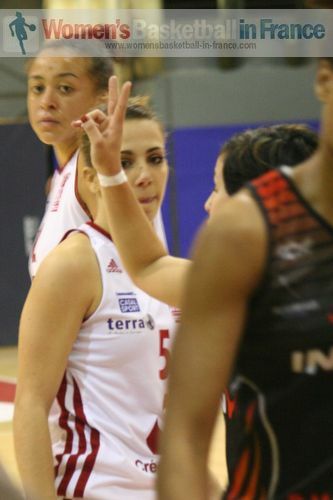 The hero of the night for the guests was Amel Bouderra who hit 27 points. 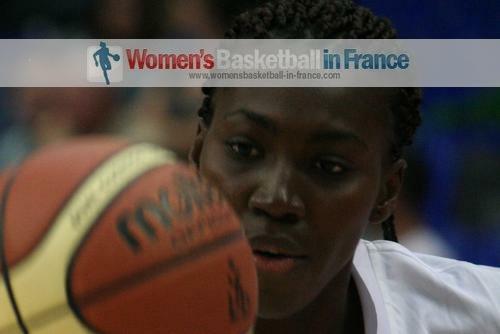 Djéné Diawara was also on form at both ends of the court with 13 points and 10 rebounds. 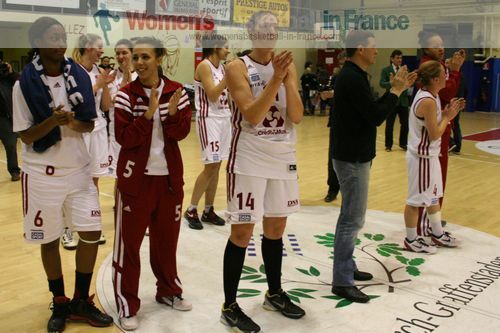 Illkirch-Graffenstaden (SIG) played aggressively for the first 25 minutes of the match to seriously challenge their LFB opponents in this Coupe de France game. 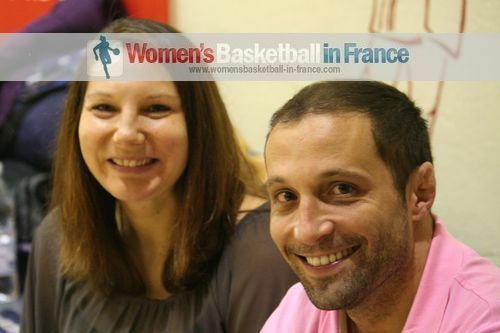 They were led by Céline Schmitt and Aline Fischbach with 24 and 17 points respectively. 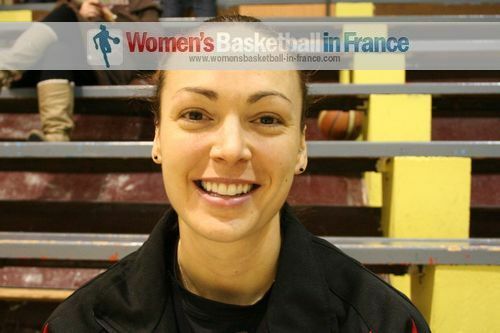 Kathleen Bourdin also had an impressive game, scoring 10 points and handing out 10 assists. 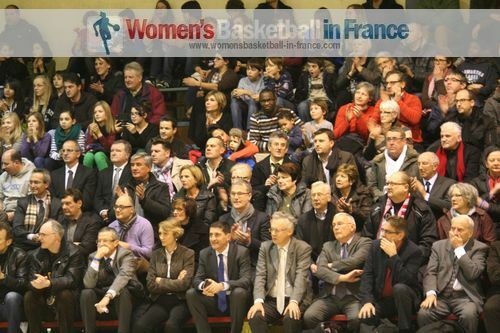 It appeared that Charleville-Mézières were going to have a comfortable evening after Bouderra opened the scoring with a three-pointer. 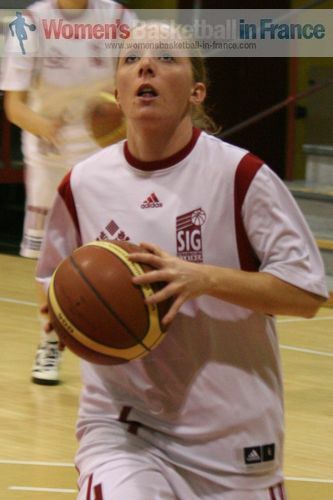 But the SIG did not panic and were soon level with an And-1 play (2 +1) for Schmitt. The lead was to change hands a total of six times during the first 10 minutes as the SIG went on the offensive. Schmitt who scored 11 points in the quarter pushed Diawara to pick up 2 early fouls. 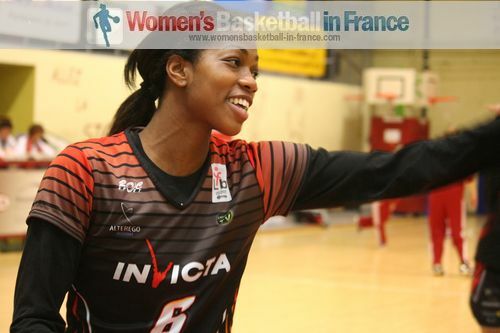 Charleville's luck in this Coupe de France match was their dominance of the rebounds and Bouderra being on fire with 10 points in the quarter. 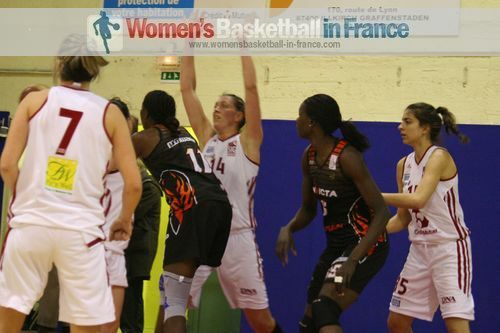 However her best shot, quarter ending buzzer from almost the half-way line was disallowed. 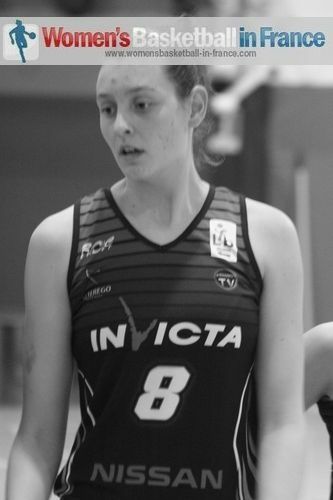 The SIG were (19-15) ahead at the end of the fist quarter and continued to play aggressively with Schmitt and Bourdin carrying the offence. 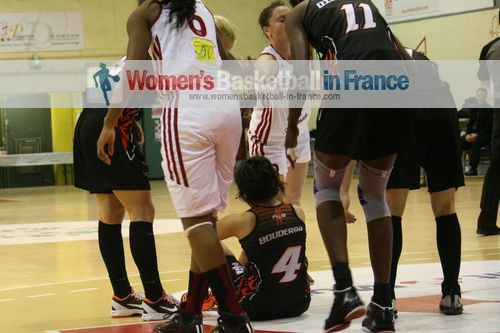 Célia Mauler was trying a little too hard and consequently picked up her 2nd and 3rd foul during the second quarter which was to limit her participation in this Coupe de France game. 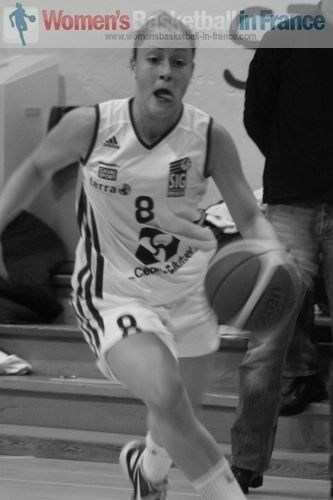 However with no rebounding presence the SIG gave Charleville too many second-chance opportunities. 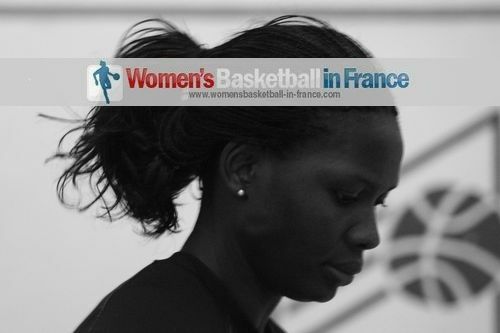 Diawara helped herself to 7 easy points. 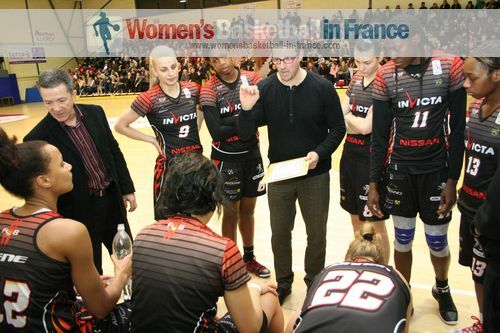 With Yacine Séné hitting some long shots and Bouderra causing mayhem Charleville went into the locker room leading by 3 points (33-30). The battle of the coaches took off in the second half of the match. Philippe Breitenbucher from the SIG was more into hand signals while Romuald Yernaux from the Flammes Carolo paced up and down his area with his arms folded. On the court Fischbach exploded for the SIG as her side briefly destablised their opponents. 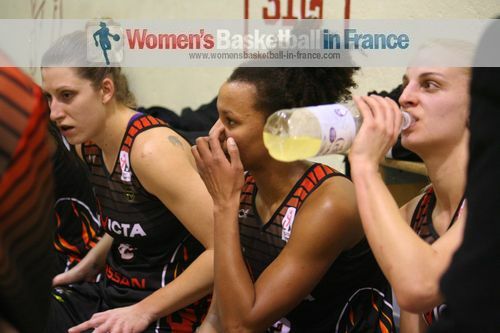 While Bouderra was consistent, her other team-mates finally stepped up their game. 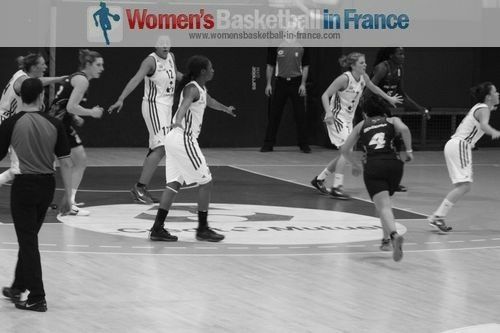 Although Aurélie Bonnan was not scoring she could not be boxed out of the defending zone. 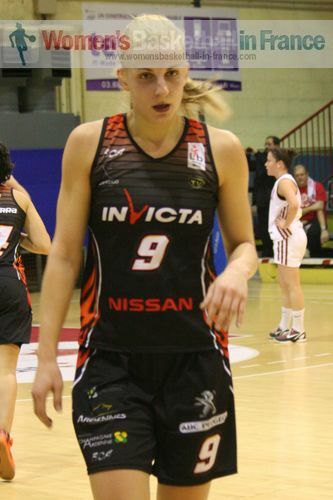 Sheana Mosch got going offensively while Ekaterina Dimitrova (in picture) continued to supply excellent passes. The end result was that Charleville led (60-48) going in the final quarter. The SIG fought tooth and nail the rest of the way. Yet with just 18 rebounds against 41 from their opponents they needed to hit every shot to stand any chance of causing an upset. The players from Charleville were too strong and much more experienced and paced themselves to victory. Breitenbucher from the SIG was delighted with the team performance. 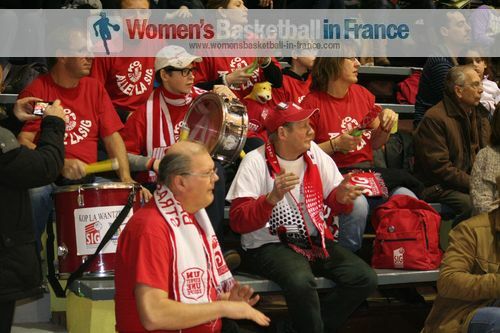 The players gave a good image of the club's basket. He was not interested in the statistics because he knew that he did not have enough players with the height of the inside players of Charleville. 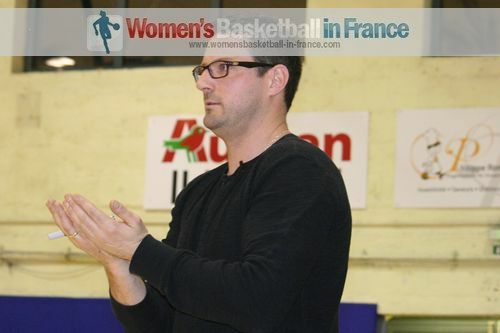 Yernaux was satisfied that Charleville-Mézières had won and that the players had taken this Coupe de France match seriously. However he was not happy with many aspects of their game. 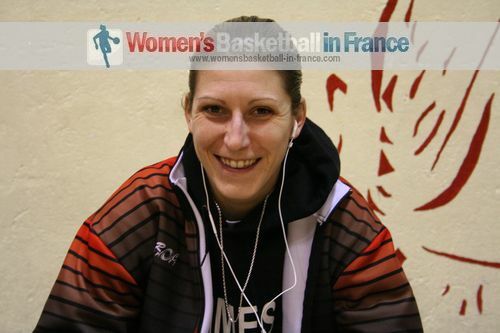 Fischbach - who does not like speaking about herself - said that she was happy with the SIG's effort against a team from the LFB. « On a dû se livrer, défendre très haut et très fort et on a fini par lâcher. 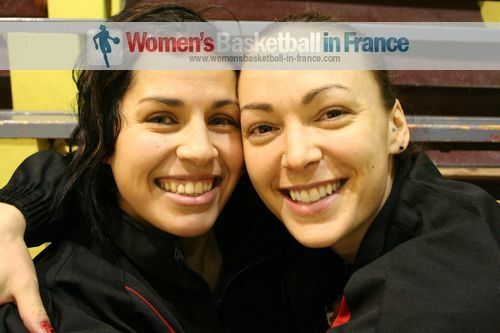 Elles sont plus grandes que nous et elles nous ont pris beaucoup de rebonds. 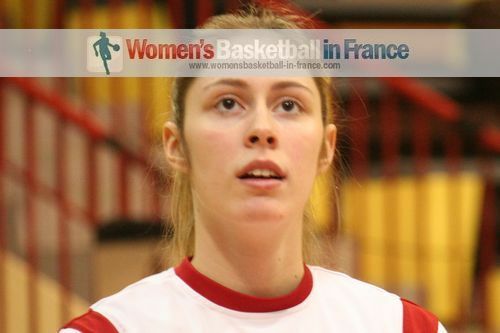 Mais il ne faut pas oublier qu’on est une équipe jeune et ce soir, je suis fier de mes filles. » Pourtant Philippe Breitenbucher aurait pu ajouter que l'aggressivité combiné avec de la vitesse de son équipe a contribué à faire travailler les co-équipières d'Amel Bouderra pour enfin repasser pour de bon au score dans la deuxième mi-temps. 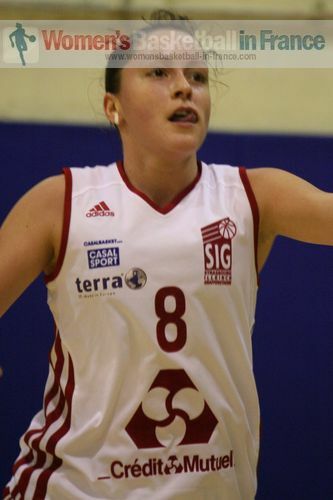 Bouderra, la meneuse de Charleville-Mézières ouvre le score avec un trois points. 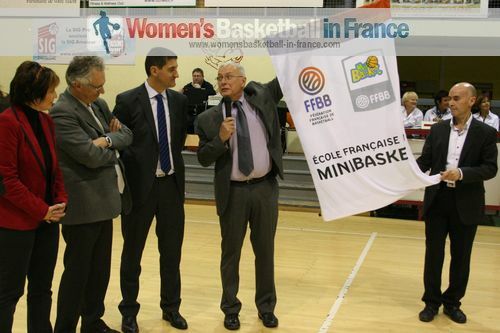 En continuant un rhythme accéléré et une bonne défense les illkirchoises répondent pour passer devant avec des passes de Bourdin (sur la foto) à Dambach et à Schmitt. Les Flammes Carolo, surprises par leurs adversaires perspicaces, commettent des erreurs, mais c'est leur meneuse Bouderra qui reste concentrée pour revenir au score. Quand même Schmitt et ses co-équipières ne lâchent rien. L'avantage de la SIG dans la sixième minute du troisième quart est à 1 point ave une Fischbach adroite au shoot. Mais les Flammes montrent alors que l'expérience et une bonne condition physique font la différence et donc gagnent avec 13 points d'avance sans pourtant faire rougir les Alsaciennes qui ont su résister très longtemps.